As Cleantechnica reported, according to data collected from the European Wind Energy Association (EWEA) and the Global Wind Energy Council (GWEC), global wind capacity may exceed 300 gigawatts this year. 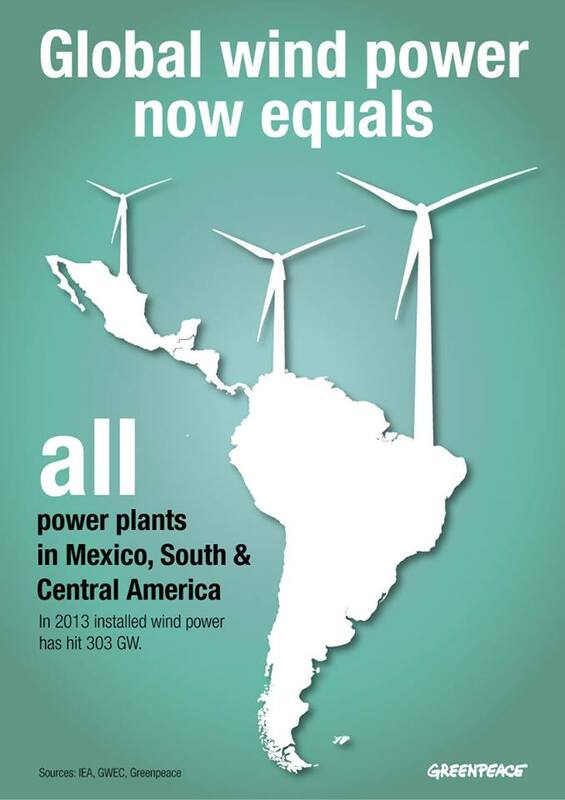 As Greenpeace pointed out (see left), this represents the capacity of all power plants in Mexico and South and Central Americas. In 2012, the global wind capacity increased by no less than 20 percent. As I noted in February, the total capacity reached 282 Gigawatts as both the United States and China had installed roughly 13 gigawatts each. Cleantechnica believes we may enter the century of wind energy.